mrs Virtue, My kid told us an explosion where four persons die 24hours before, it’s only one example of what he does. He’s name Thomas, he had spoking at 3 years hold and now I does positive anxiety with language dysfluidity, in french: begaiement like christian boisard in france. What I do? 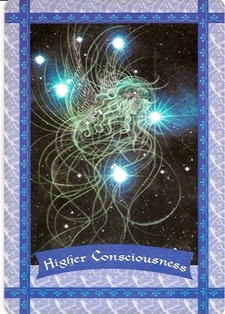 The higher consciousness in the book at TheGreaterReality.com. is great. It is a life-changer. It is not just a self-help book. The really amazing thing is that it explains all the mechanics of the universe . All of the big mysteries of the “big picture” are solved. I really hope that you get it.